If Lactobacillus and Bifidobacteria are totally foreign names for you, then read on. 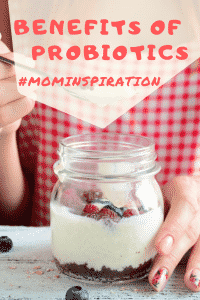 Let’s talk a little bit about why probiotics are so important for you and your family and discuss about the benefits of probiotics for babies and children. Which basically means that not all bacteria are created equal. Some can be nasty and harmful to our health and some not only bring tons of health benefits but are actually essential to the well functioning of the human body. For example, we do not possess the enzymes to digest our own food. We need help from some special bacteria to do that dirty work for us. That is why it is key to keep a well balanced and well nurtured gut flora. 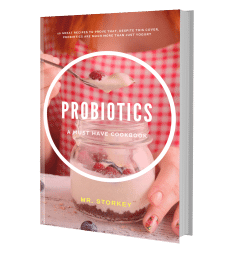 The way our gut flora acts in our body is wildly complex, but we do know that it plays an important role in regulating our imune system as well as our digestive system. Many children are exposed to antibiotics from an early age. The problem with that is that antibiotics not only kill the malevolent nasty bacteria, it also decimates the good ones! (Talk about friendly fire). So after being sick, our children need to regain balance in their gut flora. Here are some additional reasons to make sure you’re including a healthy dose of probiotics-rich foods in your children’s diet. Help maintain vaginal health in girls as well as urinary tract. It’s what they say, “one Yogurt a day keeps the doctor away”.